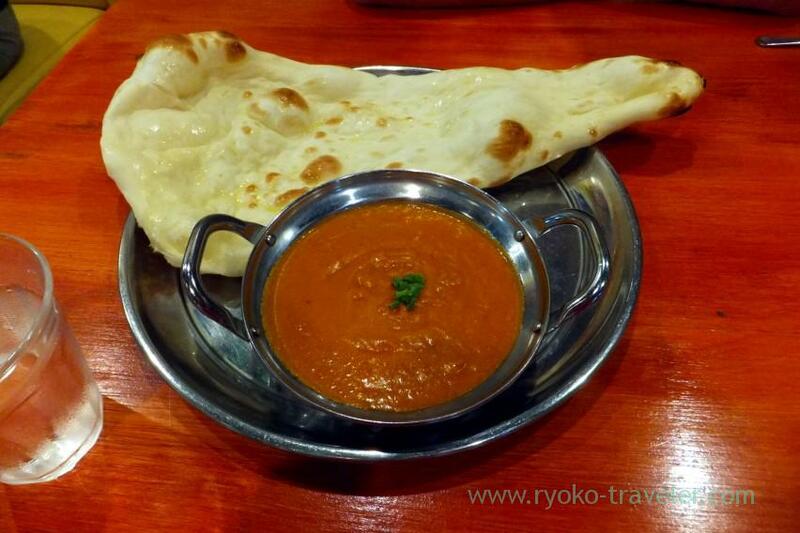 New Indian foods restaurant is open in Tsudanuma area. 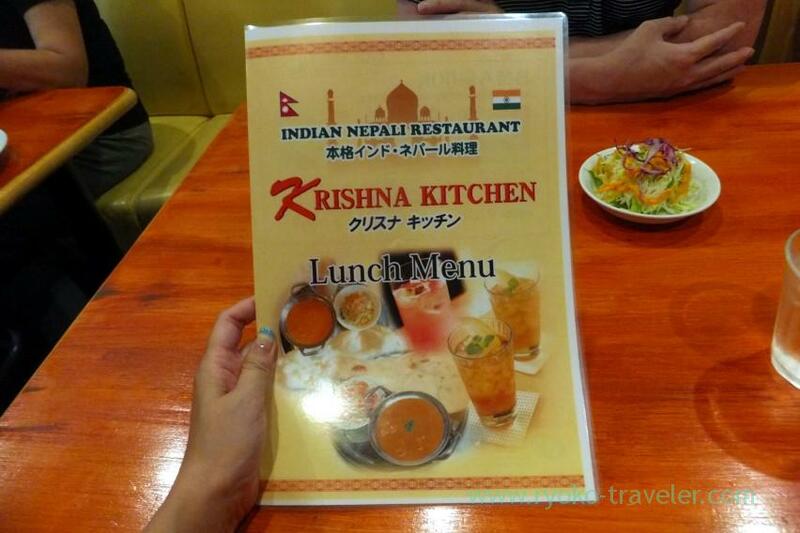 New Indian foods restaurant named “Krishna Kitchen” is open between JR Tsudanuma station and Shin Tsudanuma station (Shin-Keisei line). There used to be another Indian foods restaurant, but the restaurant quit their business and Krishna Kitchen started their business in the same place. Krishna Kitchen is on the second floor of the old and small building. Because of poorly lighted stairs and corridor, we needed courage to enter the building. 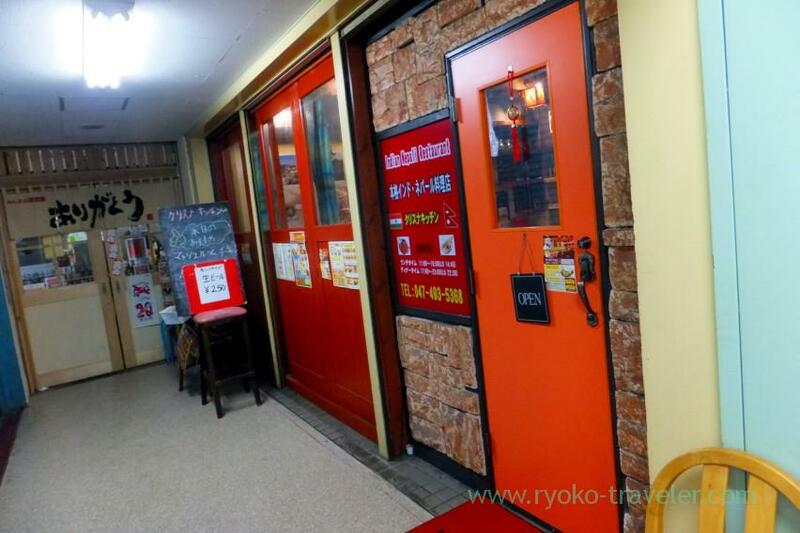 There’s Matsuya (gyudon shop) on the ground floor and Krishna kitchen’s neighborhood is Izakaya Arigatou. They have lunch menus at everyday’s lunchtime until 3 p.m. They say they are “Indian Nepali restaurant”. But I think their specialty is Nepali foods. Maybe. Lunch set menu. Each lunch set have one drink and salads. All set except “A lunch” and “Today’s special set” offers free refills of naan or rice. 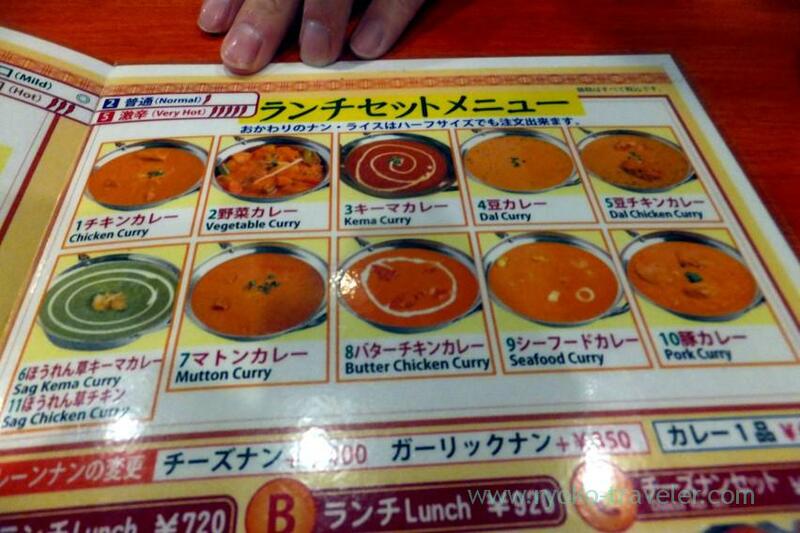 You can choose your curry from these 11 curries. But just A lunch can be chosen from 1 to 4 only. Degree of spices can be chosen from five levels. 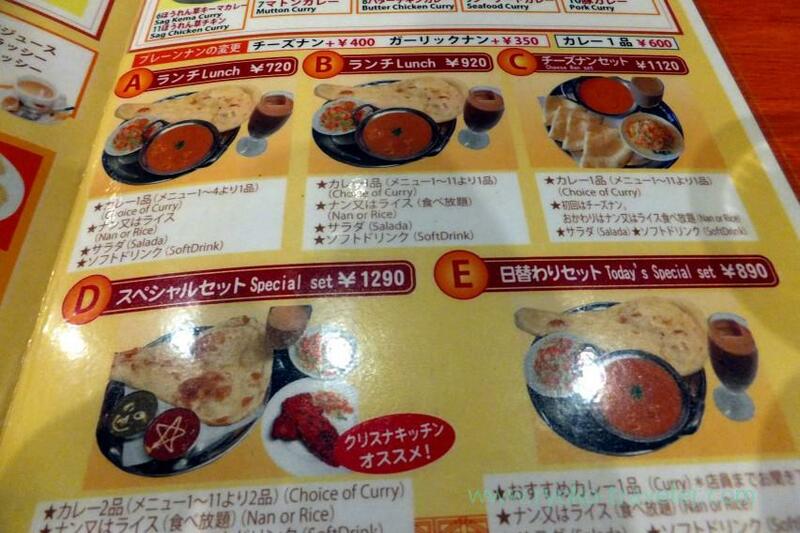 Cheese naan set (チーズナンセット, 1120 yen). Simple B lunch (Bランチ, 920 yen). 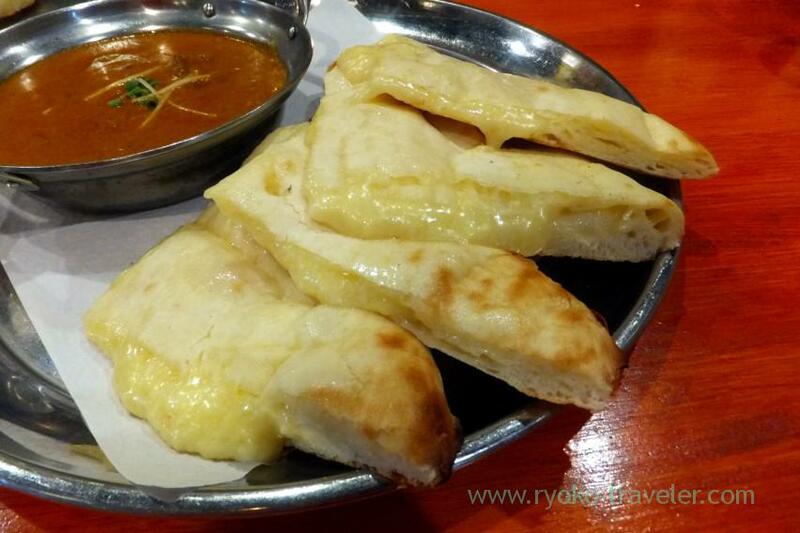 The naan was springy and delicious. Drink can be chosen from coffee (hot or iced), chai (hot or iced), oolong tea, orange juice, mango lassi, orange lassi, and lassi. 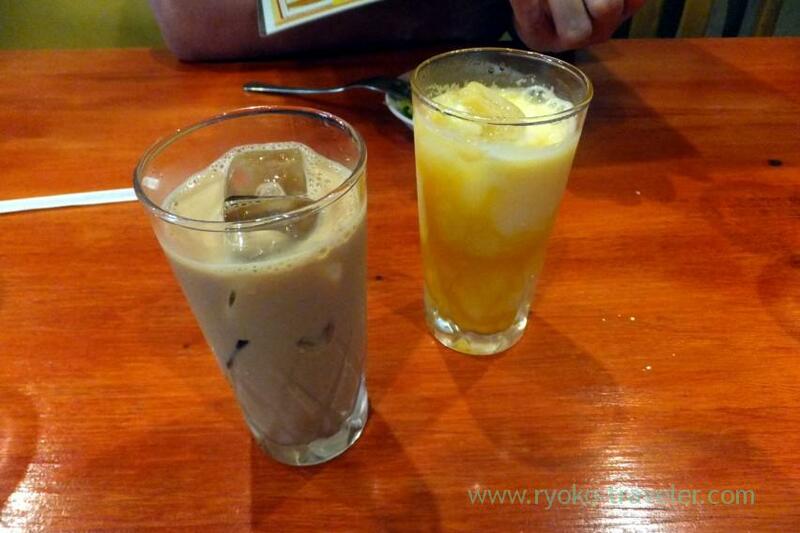 Our drinks were mango lassi and iced chai. 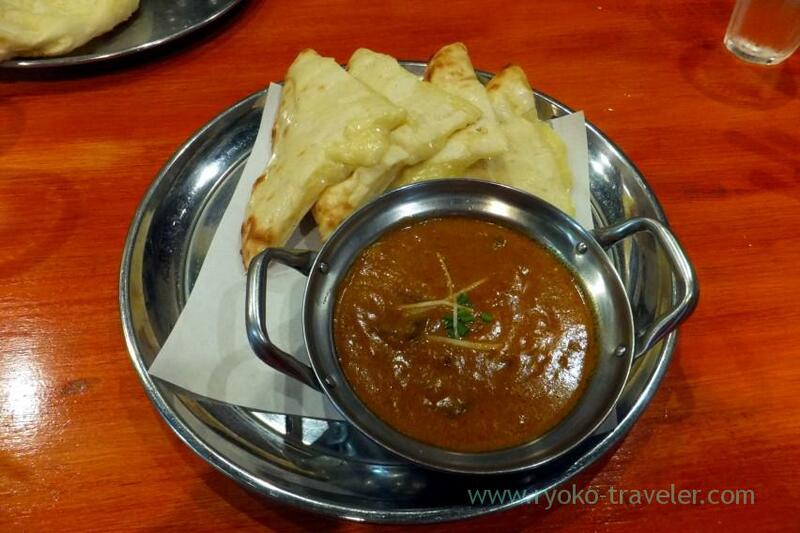 We can order momo and tandoori chicken even during lunchtime. “Soup momo” on the wall attracted us. Another, they prepare kids’ lunch (470 yen) and also they accept “to go” (570 yen -).